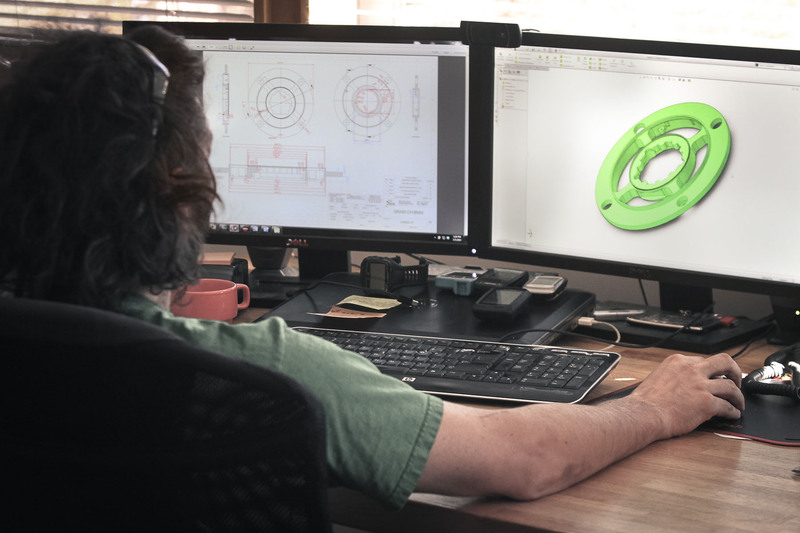 Our design process uses 3D Form Modeling and Finite Element Analysis (FEA) to determine the best structural layout for a strain gauge based measuring system. The foundation of each SRM PowerMeter is subject to a durable component design as a crank spider, even before its given electronics and measurement capabilities. Each SRM PowerMeter chassis is machined in Jülich, Germany, or Colorado Springs, USA. 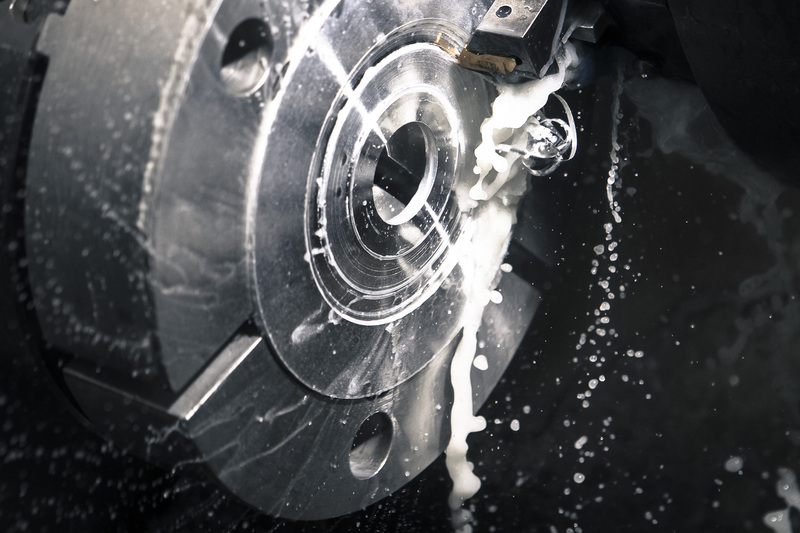 Our CNC Machinists are ISO Certified to Military specifications. Each SRM PowerMeter is produced to exacting standards from 7000 Series Aluminum – tolerances within five hundreths of one millimeter (0.05mm). This produces a PowerMeter with absolute symmetry, yielding a stable offset frequency and consistent slope value. Each PowerMeter is also anodized to protect the aluminum and create a stronger surface. Applying strain gauges is an art as well as a science. 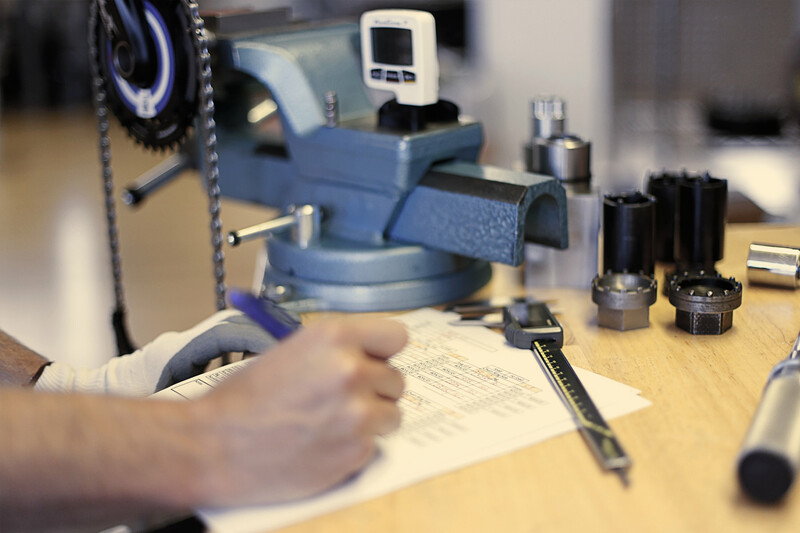 Each SRM PowerMeter uses custom designed strain gauges, each placed by hand and aligned to exacting standards. This process allows for rock solid offset stability. A stable offset frequency means a more accurate power measurement. The electronics of SRM are designed to withstand the forces and harsh environments of cycling. All soldering connections of the SRM circuit board are reinforced above normal consumer electronics, allowing for increased durability. 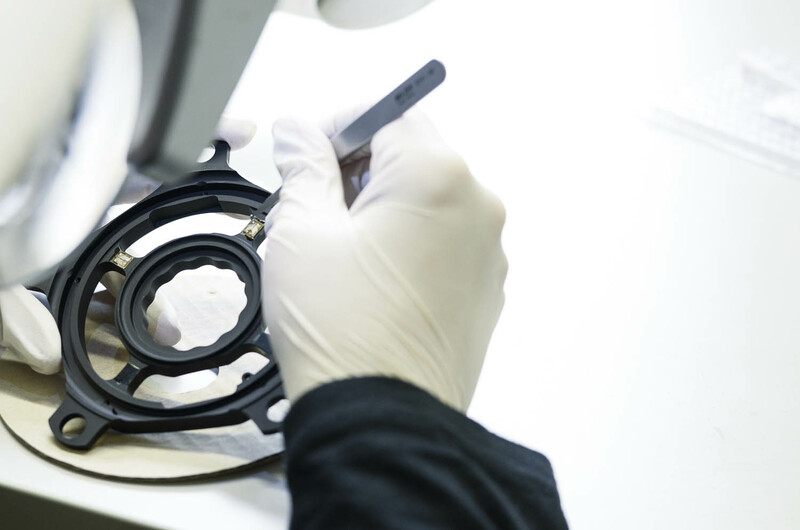 Following manufacturing, each circuit board is inspected as part of our extensive quality control process. Our employees are our secret for success. Each specially trained technician follows a meticulous process for new builds as well as servicing existing product. Our technicians carry on the proud legacy of building the worlds greatest power measurement devices! Every SRM Product is made by hand in Colorado Springs, USA or in Jülich, Germany. Calibration The cornerstone of the SRM PowerMeter. Without an accurate calibration, any measuring system would be flawed. Linearity of slope is a critical component to ensuring accuracy at lower power outputs as well as during high power sprint efforts. Each SRM is calibrated against four increasing loads ranging from 20 to 100 kilograms of known force. Each weight is measured to the exact gram to maintain the highest level of accuracy. 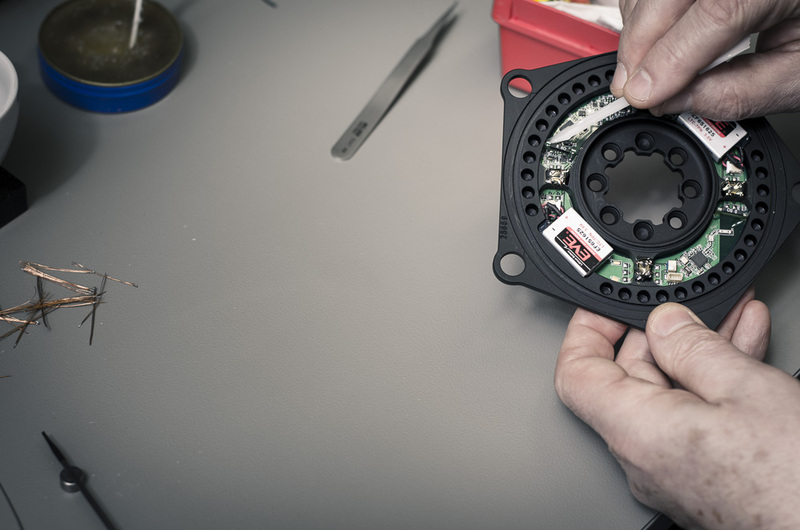 Since the SRM was designed to be a transparent scientific measuring tool for torque, our calibration process can also be replicated by consumers!